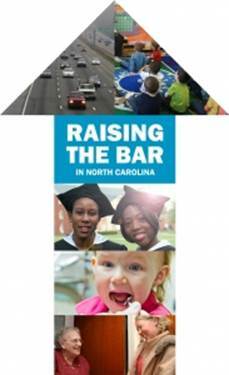 This post is part of a series on the state budget featuring the voices of North Carolina experts on what our state needs to progress so that all North Carolinians have a fair shot to get ahead. More than 500,000 North Carolina households spend at least half of their income on housing,[i] and communities around the state have been taking notice (including Charlotte, Asheville, Raleigh, Wilmington and Durham). A family that spends most of their income on housing[ii] is unable to invest in other basic necessities like preventative health care or education, much less build resources for the future. While each community’s housing needs are unique, lack of affordable housing is a problem in all 100 North Carolina counties[iii] and calls for a statewide solution. Housing is not only an integral part of a family’s budget, but also the state’s economy. Ensuring that all North Carolinians have access to safe, decent and affordable housing is a sound financial investment in North Carolina’s future. 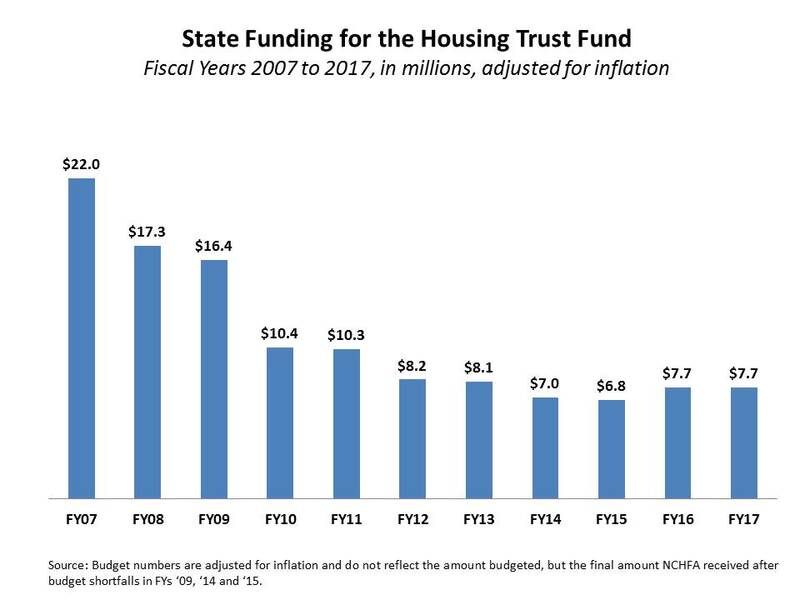 Understandably, state funding for the Housing Trust Fund dropped in the wake of the Great Recession. However, as North Carolina recovers, so should our investment in our housing infrastructure. Last year saw the first increase in the Housing Trust Fund in 10 years. This is an encouraging sign, but we are far from meeting the size of the growing need. Now is the time to reclaim the vision cast in 2005 for the Housing Trust Fund and make a bold commitment to investing in North Carolina’s families and growing economy. [ii] NC Budget and Tax Center. Living Income Standard 2014: Boom in Low-Wage Work Means Many North Carolinians Don’t Make an Adequate Income. [v] The North Carolina Housing Finance Agency uses the RIMS II System from the Bureau of Economic Analysis to calculate economic impact. [vi] Budget numbers are adjusted for inflation and do not reflect the amount budgeted, but the final amount NCHFA received after budget shortfalls in FYs ‘09, ‘14 and ‘15.